Downy Fresh Protect with In-Wash Febreze Odor Defense technology is now available in an April Fresh scent! Motion-activated fresheners don't just mask bad odors, they eliminate them, infusing fabrics with the April Fresh scent as you move throughout your day for 24-hour odor protection. 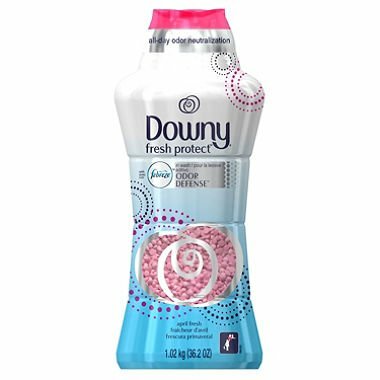 Part of the Tide + Downy Odor Defense Collection.